Don’t Starve has always been about being hungry, afraid, alone, and — most importantly — the people who play the game. Since the beginning, players have been expressing their desire to experience this world together with their friends, family, and especially their significant others. 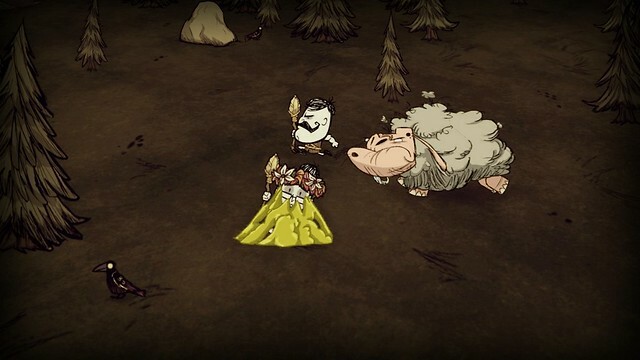 A constant through the years of Don’t Starve has been that people don’t just want to conquer the world of Don’t Starve; they want to do it together. There is something special about Don’t Starve. A game that with no motivation, you are thrown into a hostile and unforgiving world. The only thing you can count on are your own decisions. The choices you make matter and even the simplest of decisions could be your last, if you push things just a little too far. At some point, you know where you’ll get your next meal, you no longer dread winter or the next Deerclops attack. You have herds of beefalo under your control, and a sweet looking base and the tools you need to establish your dominion over the world that you have been thrust into. But still what we all found, collectively as a group of players and developers, was that there was one thing you could just never truly conquer: the constant weight of being alone. Sure Chester is a bro, but Chester’s just not the same as having a good, true friend by your side. Thus began the saga of Don’t Starve Together. 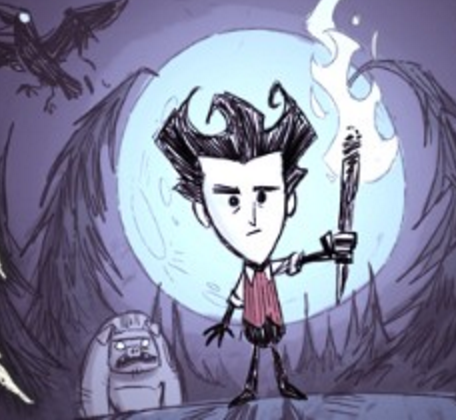 In every way, Don’t Starve Together began as “Don’t Starve you could play with your friends.” But with new people came new challenges, and a new desire to share those experiences. 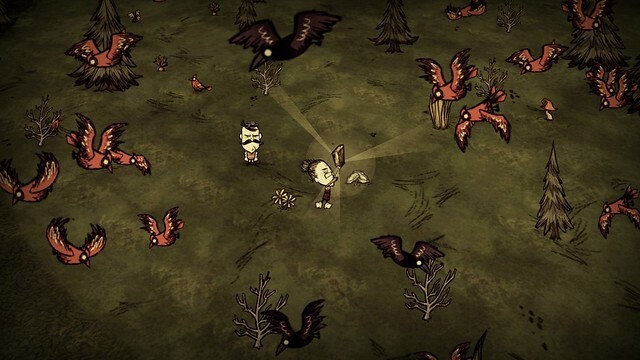 In Don’t Starve Together, you could play with your friends and never be online at the same time. You can conquer the world together, and still be alone. Players love to send us stories, pictures, and drawings of their love of Don’t Starve. And it’s also where we get to best see how much this game means to their relationships with friends. Players have sent us pictures of their matching Don’t Starve Tattoos, Don’t Starve themed birthday parties complete with pin the beard on Wilson. We have seen Wedding cake toppers and groups of friends dressed as Wilson, Willow, Wendy, and Maxwell. And one thing is certain: Don’t Starve players love to be together. 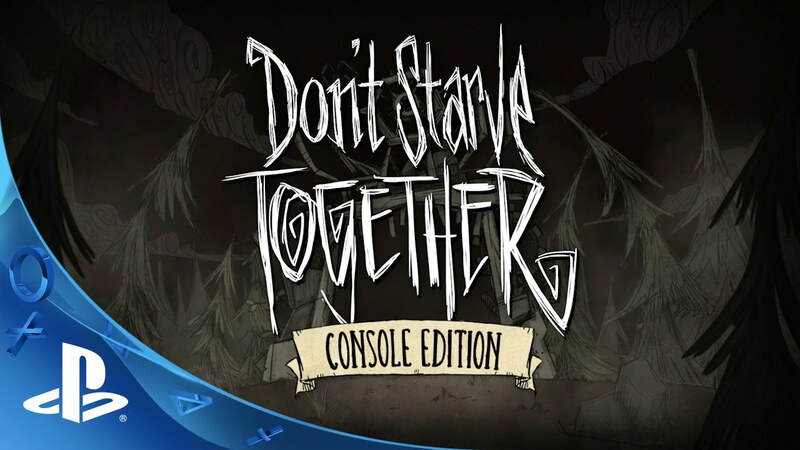 Don’t Starve Together on PS4 with splitscreen will have players sitting side by side and will bring the players of Don’t Starve Together, truly together. Will it have crossplay with the pc version? I love don’t starve and I love the Giants expansion. And I’m sure I’ll love playing this with my girl. But I needy out to listen to this specific request: Make don’t starve work with VR. It should look the same and everything. Just have it be like a chess board that I can walk a full circle around as though my eyes are the camera. If it’s possible. I don’t claim to know how these things work, but it would fit perfectly, I think. Another vote for cross-play with other platforms. I really dislike how Double11 didn’t have cross-play for the PixelJunk games, leaving PS4 (and Vita) players with no one to play with. Will there be or ever be P.O.C. Characters? There are so many awesome characters even a robot but no P.O.C. i find this confusing and a bit disappointing. Best part of the show for me was this! I have been hitting up Google every couple weeks since this was was announced on PC looking for any little shred info that this might come to PS4 sometime soon..